I have been a part of the arts in Canada and much further abroad for the past 40 plus years. I continue my work as a composer, musician, arranger, music director, conductor, playwright, artistic director, and record producer. Here are some things that I am working on right now. The Five Seasons, a postmodern oratorio, will receive its premiere performances in Vancouver in September 2019. This work was made possible by a generous gift from Haida artist, poet, singer, Robert Davidson and a grant from the Music Division of the Canada Council. A Road Story-A full-length play commissioned by The Canada Council Creative Writing division. This work is ready for rehearsal. Thanks for the visit. Much appreciated. 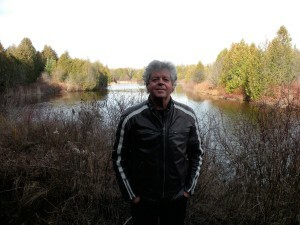 Bruce Ruddell is a composer, musician, arranger, conductor, playwright and music producer.